And we get that. Every business has a different set of needs and goals, along with a different team, product, and set of operations. For these reasons, we specialize in Custom Software Development. We can create a unique software solution for your business that complements your business operations. Take your business to that next level with a completely unique software solution. Our ultimate goal is to make your business more efficient. With Custom Software Development, our team can build your business a custom-designed software solution to streamline messy processes and reduce annoying bottlenecks. Why should you be forced to conform to pre-built software and tools? Custom Software Development gives your business the opportunity to work with technology that simply makes sense for the way your business operates. Custom Software Development provides your business with an outlet for smarter, more efficient growth. Avoid obstacles, reduce costs, and streamline processes. As a result, grow bigger, faster, and better than you ever thought possible. At the end of the day, it’s all about building a better way. A better way to work. A better way to communicate. A better way to deliver. Simply a better way. Partner with Immense, and we can build that better way for you.  Whether you’re looking to reduce the hours spent on a specific task, manage the flow of data more efficiently, or launch a new product or service, we can help. 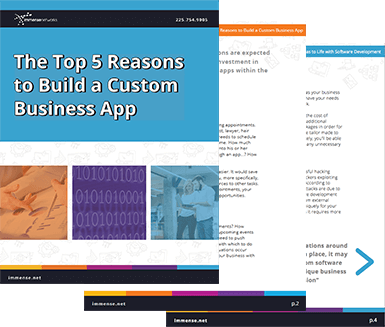 Our free report outlines the largest business benefits of a custom app. Check it out. Do you have questions about Custom Software Development?